Somehow, I’ve managed to never make a true attempt at cloning a commercial beer. This is somewhat regrettable as attempting to reproduce a reliably consistent commercial product is an opportunity to not only test your process controls, but also gain a true understanding of how certain ingredients and techniques can impact a final beer. Personally, no beer would be better for a clone attempt than Sierra Nevada Pale Ale. Not only is this a beer that was very formative in my journey towards craft beer, it is also reliably available, fresh, and consistent. Sierra Nevada Pale Ale on the left, homebrewed beer on the right. The first step is researching the beer you’re trying to clone and establishing a set of specifications for that beer. In the case of Sierra Nevada Pale, their website provides a good starting point in terms of gravities, bitterness, and base ingredients. From there, a number of other websites and forums provide additional anecdotal stories and recipes that can inform your own formulation. With the research complete, I formulated the following recipe. 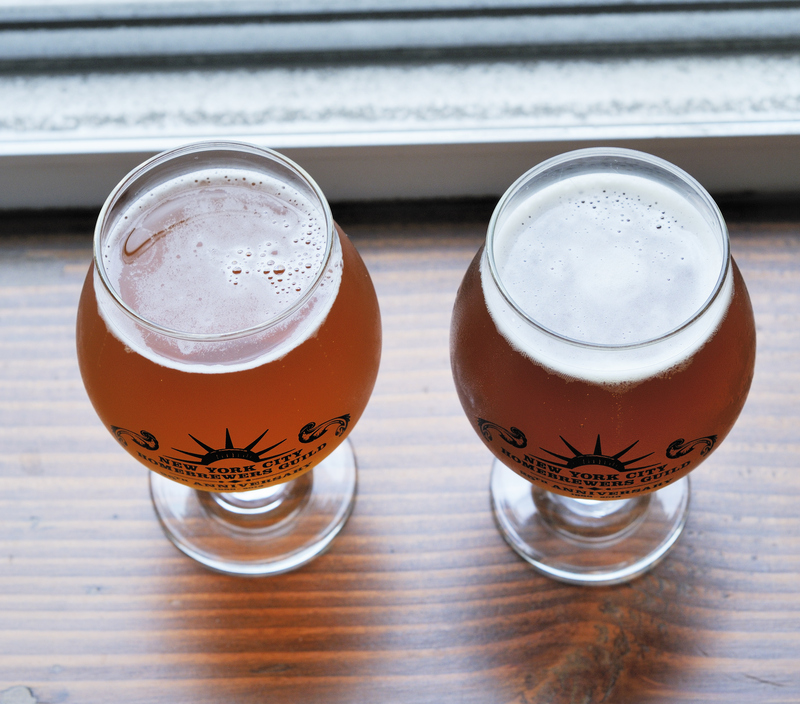 An important part of the cloning process is a critical review that involves consuming the beer side-by-side with the original, preferably blindly. This allows you to note critical differences which can be projected out to future recipe iterations. Unfortunately, my first attempt clearly did not result in a clone. This however is not a failure, as it allows me to make process and recipe changes to hopefully create a clone in future iterations. Below I’ve outlined the critical differences between my beer, and commercially available Sierra Nevada Pale Ale and the changes I plan to incorporate into the next version of the beer. The homebrew version of the beer has far more yeast character than the commercial beer. Specifically, my beer has a distinct floral and fruity ester (pear and berry) not present in the commercial beer. In future iterations, I plan to pitch a larger starter and provide additional oxidation of the wort to discourage the production of yeast esters. The commercial beer has a brighter grapefruit pith and slightly herbal hop aroma. I plan to dramatically increase the whirlpool addition of cascade hops in my beer. The homebrewed beer has a distinct dark fruit, dark caramel malt aroma. My original intention was to stick with American crystal malts, but was forced to substitute out British crystal malts due to availability. This had a huge impact on the final beer. I will stick to American maltsters in the next iteration. My beer appears a shade darker than the commercial beer. My beer has better head retention than the commercial beer. In the next recipe iteration, I will dial back the amount of crystal malt to lighten up the beer color. Again, my beer has a much richer, darker crystal malt character. This is the by-product of using British crystal malt. The choice of crystal malt made an enormous difference in the final beer. For the next version, I will stick to American maltsters. My homebrewed version is lacking in the fresh cascade hop grapefruit pith flavor. I will dramatically increase the Cascade whirlpool addition in the next iteration of this recipe. My homebrew is sweeter than the commercial version. 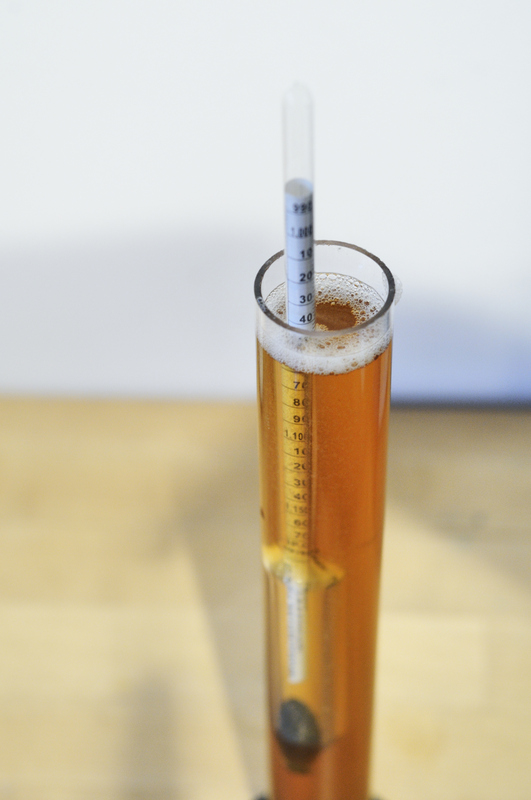 The commercial beer attenuates to approximately 79% apparent attenuation. My version only attenuated to 75%. I will mash lower for the next version of the recipe to attempt to further dry out the beer. Sierra Nevada Pale Ale has a slightly grainy / tannic finish. This is likely a byproduct of high levels of sugar extraction. I will attempt to boost my extract efficiency for the next version of the beer. My homebrew is less bitter than the commercial version. Increasing my whirlpool additions should bring the beer closer in line with the commercial version. 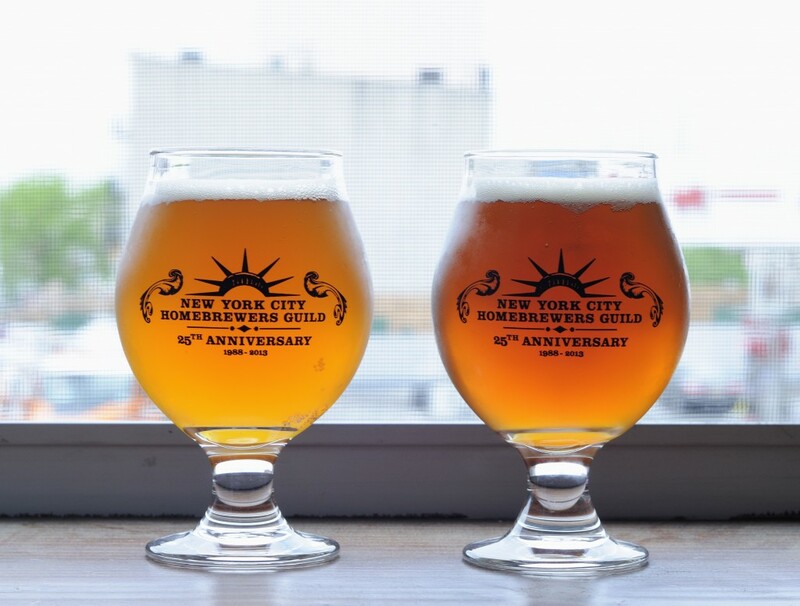 This entry was posted in Homebrew Recipes, Homebrew Tasting, Homebrewing and tagged ale, american beer, american pale ale, beer, clone, homebrew, homebrewing, pale ale, recipe, review, sierra nevada by Nick Ladd. Bookmark the permalink.